Today’s review is about Alverde Aqua Gesichtswasser Meeresalge face toner for normal and mixed complexion, which is the second element of my daily routine. I try to have as many face cosmetics as possible from one brand if all of them are decent. I’m hopeful that I minimise allergy risk in doing so. 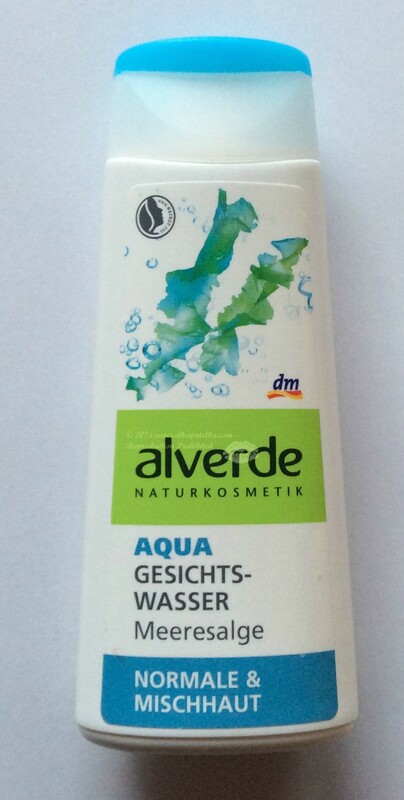 Alverde is one of my favourites from DM – a German beauty supermarkets with great quality products. I already recommended some of their products, and I have some more coming up for review – watch this space. Alverde brand products are vegan and have been dermatologically tested. In most cases, they have organic ingredients and natural oils-see Ingredients below for this face toner.